A variegated mottled texture is readily apparent in this terrain located NW of the volcano, Elysium Mons. 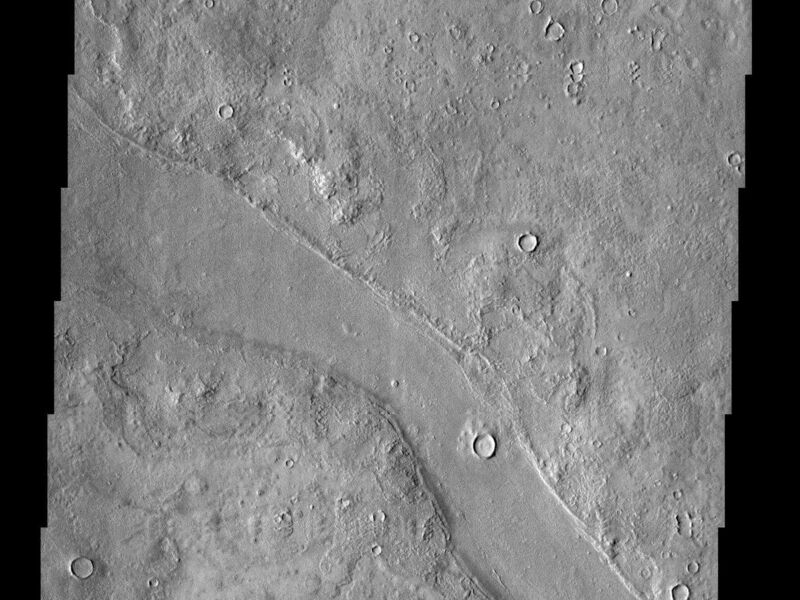 The Hrad Vallis (the Armenian word for Mars) channel system can be seen sauntering across the bumpy landscape of Utopia Planitia. 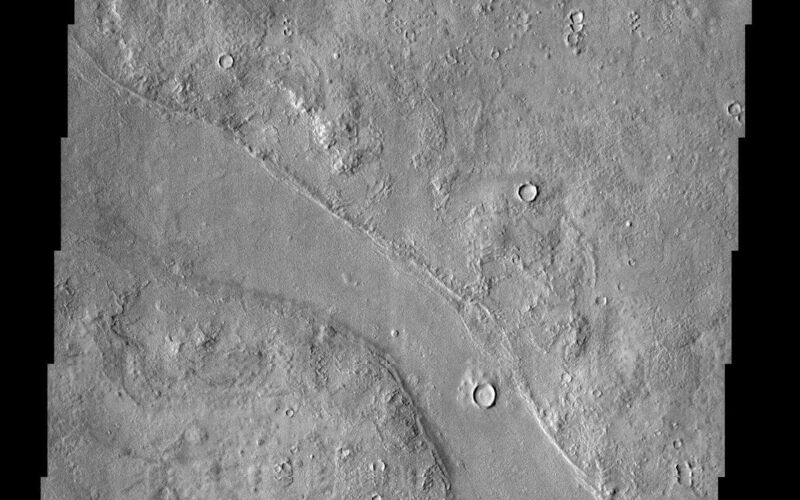 The upper branch of Hrad Vallis has a large chunk of material on its floor; this chunk appears to have been rafted away from the material on the far left of the image (moved from left to right). This unusual because the channel flows toward the left. This material may be lava flows. 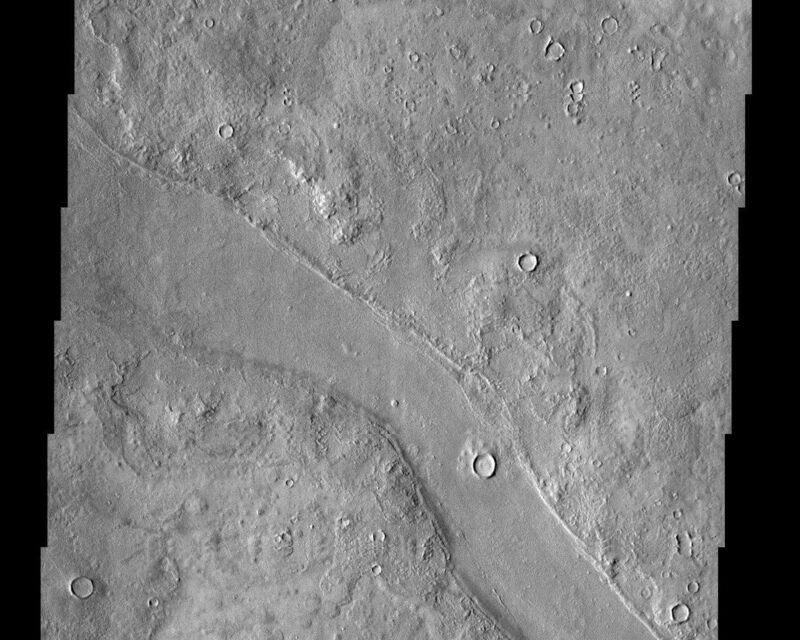 Many craters in this region of the planet have their interiors filled with material. Pedestal craters (craters with ejecta blankets perched higher than the surrounding plains) are also found in these regions. These observations seem to imply that this region was once buried and has now been uncovered (exhumed). The exact causes and timing of these events are unknown. Image information: VIS instrument. Latitude 40.6, Longitude 134.2 East (225.8 West). 19 meter/pixel resolution.